Yue, Stephanie. Good. 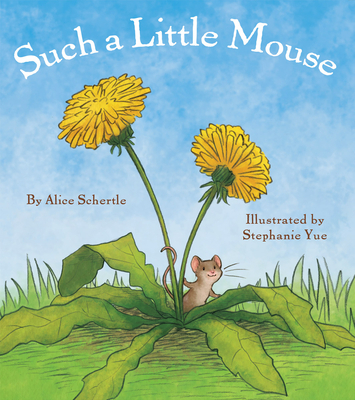 Such a Little Mouse by Schertle, Alice. Sewn binding. Cloth over boards. 32 p. Contains: Illustrations. Intended for a juvenile audience. Acceptable. Former Library book.9781770664623 The book is a readable copy showing signs of wear and the pages are intact. The cover may have some creases or minor tears. The dust jacket (if applicable) may be missing. The book may be an ex-library book. The book may contain: a publisher remainder mar some highlighting All orders guaranteed and ship within 24 hours. Your purchase supports More Than Words, a nonprofit job training program for youth, empowering youth to take charge of their lives by taking charge of a business. Leaves our warehouse within 24 hours. Very Good condition with normal wear. Has a publisher overstock mark.